Repairing asphalt comes with far more considerations than most people think. For a property owner, the ideal situation is to have the asphalt look as good as new. Also, it should stay looking that way for as long as possible. Using the wrong mix can lead to early problems, premature wear and tear, and more expensive issues. That’s it. This may cause you to wonder just how you get different types if the main two ingredients are always the same. The answer is in the mixture. Aggregates can consist of any type of rocky material. In addition, the materials can vary in size, sharpness, roundness, and volume. Different aggregates create different mixes. Some mixes work better for some applications than others. Asphalt itself is not always the same. Different types come from different regions, so the properties can vary. In addition, some types have things added in factories or labs that can help bring out certain properties over others. The method of mixing the aggregate with the bitumen can also vary. Altogether, there are a tremendous amount of mixes that these disparate things can create. So no, it is not all the same. Far from it actually. However, there are some types and mixtures that have stood the test of time and shown to work remarkably for their intended usage. The difference between cold and hot mix can often confuse people. Professionals understand when one solution will work better than another, but it’s not always easy considering that different proprietary blends are out there. Hot mix– These mixes are the most common type. The mix is heated, and rolled on hot. Hot mixes have the most variety as far as types and usage. That is why it’s important to use a hot mix with a good track record for your intended use of it. A good, premium hot mix can give you permanent results rather than temporary ones. Cold mix– These mixtures involve not heating the aggregate. These mixes work well for patches and repairs. 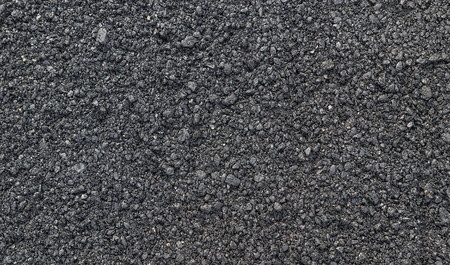 Traditionally, cold mix has often been thought of as consumer grade asphalt. Meaning that it’s often store-bought, good for do-it-yourselfers, but largely not as strong and durable as hot mix. As previously stated, it’s all in the mix. There are many commercial-grade cold mix solutions that work as well, if not better, than hot mixes, depending on the temperature and intended use. Cold mix patches tend to cost less, and take less time to administer. They are ideal for making repairs during cool, cold, wet, or arid months. What’s the Right Mix for Your Project? Choosing the right mix is not easy. It’s also something that no property owner should do without seeking the help of a professional. You may find that you require a custom mix for your particular project. You may find that you cannot complete your project using the type of mix that you originally wanted. You may not know where to start with the project. The professionals at Dykes have the knowledge, experience, and mix expertise to help you make the best of your project. Speak to us first about your project.